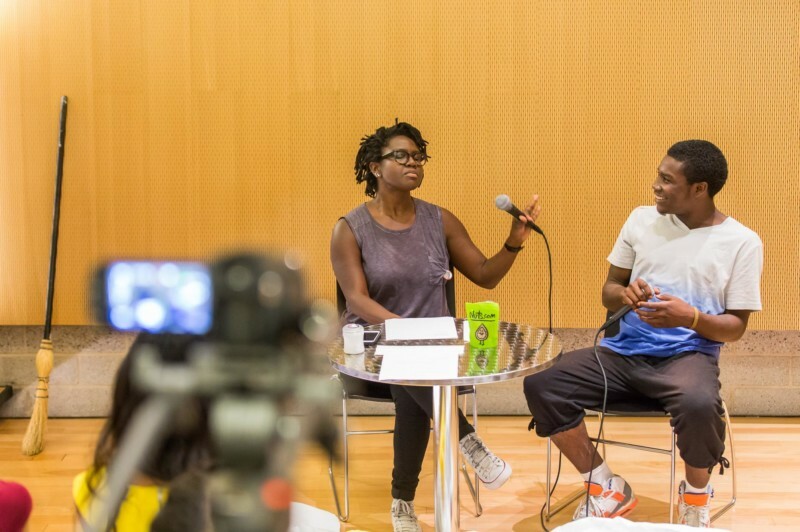 Studio Museum in Harlem’s 2016-17 artist in residence Autumn Knight performs a Holiday Special of Sanity TV. Part of a series of interview-based performances throughout the We Go As They exhibition, Knight’s Sanity TV investigates the flexible boundaries of identity and psyche. Each episode explores a distinct topic and builds towards the season finale on January 7, 2018.